I have fond memories of NYC. After all, I was able to visit when the Twin Towers when they were still standing. I really can't believe that it has been a decade since they fell. Unbelievable when it happened and still unfathomable today. On a lighter note, I also could not forget the cuisine either. Well, at least some of it... NY-style pizza, deli sandwiches, Italian food and fine dining, they were all very good. However, my experience with Chinese food wasn't as successful. On the topic of deli sandwiches, we all know that the scene here can be described with one word: pathetic. With the introduction of Dunn's Famous, at the very least, we've taken a step in the right direction. Other than that, we are not left with much. Estrella's out in Langley is currently my favourite, but that is not exactly accessible all the time. 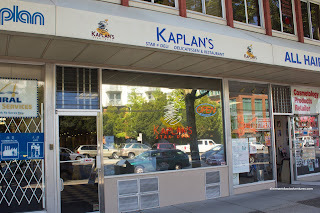 On the other hand, there is one from my childhood though, Kaplan's in Oakridge. Growing up only a few blocks away, I would regularly visit the place (even by myself) as a little kid. 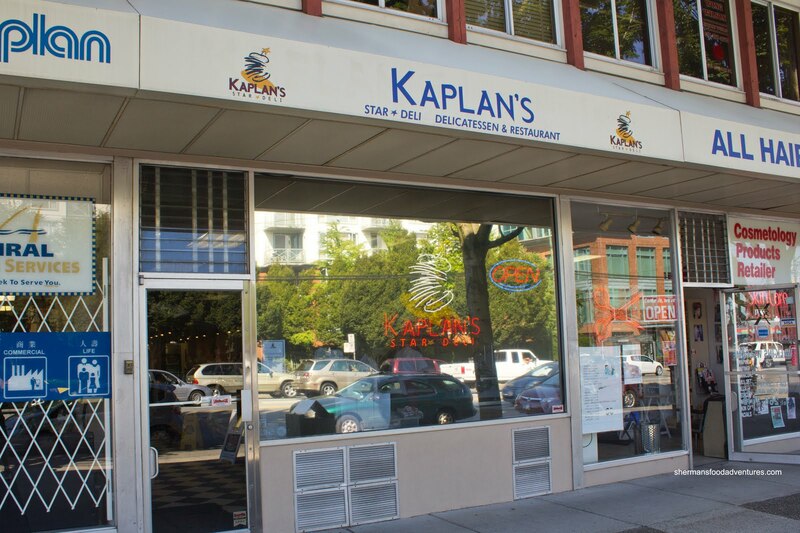 I've blogged about Kaplan's before, however, that was takeout and besides, I didn't get to have their Matzo Ball Soup last time. 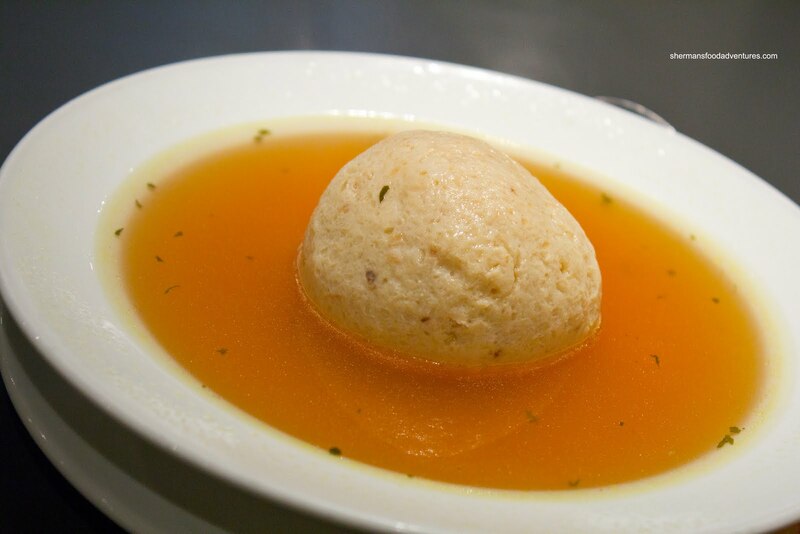 Unlike some versions I've had, the matzo ball here was fluffy and light. Furthermore, the broth was very flavourful bordering on salty. However, I'd take that over bland since the matzo ball ain't a flavour explosion. Since my visit here was in between games during our softball tourney, Milhouse tagged along (yah, I forgot about this post that was in the summer!). He went for the Pastrami Sandwich. 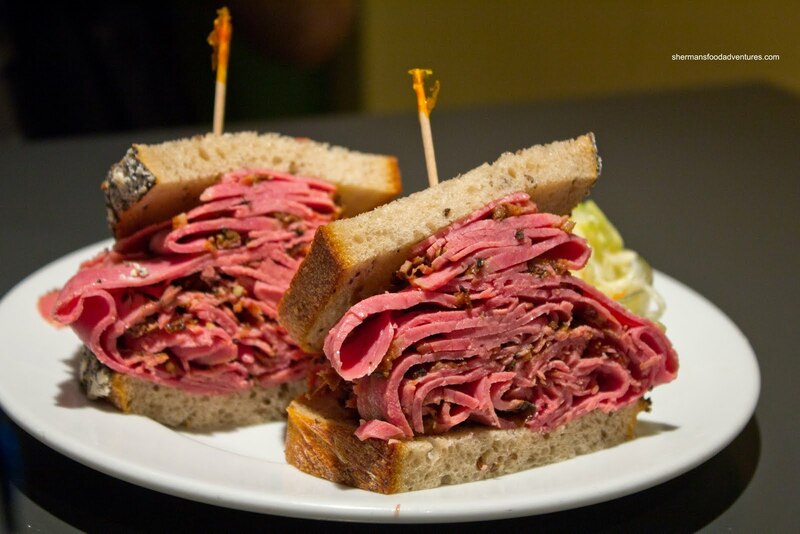 Although the sandwich does not compare in size to those found in NYC, it holds its own regardless. In terms of value, it can be argued that there was not enough meat in this sandwich considering the price tag was $12.00. 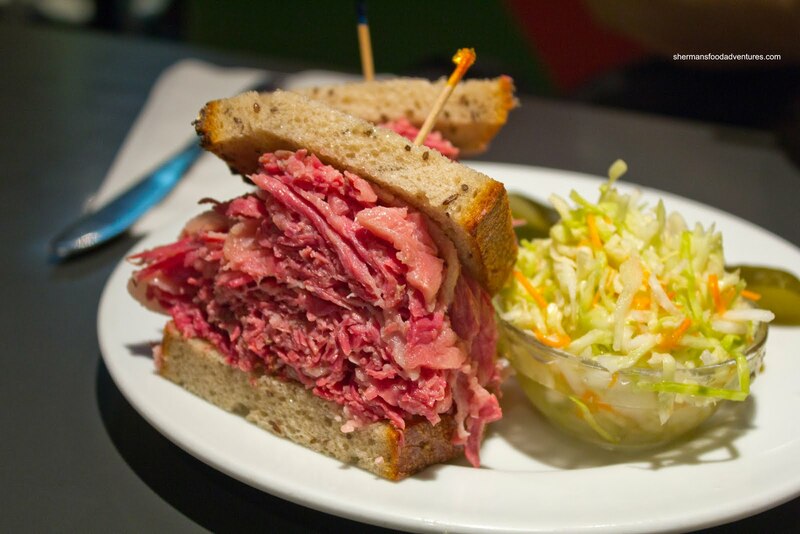 Yet at the same time, it would be difficult to eat something as big as the Woody Allen at Carnegie Deli in NYC (pretty good value at $18.00). For myself, I had to go for the classic Corned Beef Sandwich (with fatty meat of course). Similarly to all the times I've been here, the corned beef was good. It melted in my mouth and since it was fatty, it was full-flavoured as well. Loved the non-mayo type coleslaw with an acidic slant. Hey, it ain't no NYC deli nor can it really compare to Dunn's in Downtown, but it is alright. Besides, I grew up with it. More sentimental than anything.